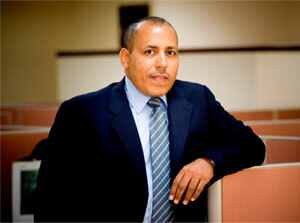 Aptec attains Microsoft CLOUD Distributor status- the first in the region. Value- Added Distributor is set to recruit and enable resellers on cloud solutions offering. Dubai, UAE – 21st September 2011 – Aptec Holdings, one of the largest technology Value-Added Distributors in the region, has announced yesterday that it received Microsoft CLOUD Distributor status, the first of this kind to be given to any Microsoft distributor in the Middle East. With this agreement Aptec will be focusing on distribution of the latest cloud technology product of Microsoft – Microsoft Office 365. The distribution agreement is currently covering U.A.E., Qatar and Kuwait, to be followed by other GCC countries and Egypt in the nearest future. With its new CLOUD Distribution status Aptec is expected to concentrate on recruitment and enablement of channel resellers along with offering them the complete services expertise. Santhosh Kumar, Software Business Unit manager of Aptec Distribution, commented: “We at Aptec are very excited being appointed by Microsoft as CLOUD Distributor in the region. This prestigious status has strengthened our vision of providing the channel with the complete solutions on CLOUD”. “Aptec has developed the right GO-TO market strategy by offering the channel the right expectations of recruit, enable, engage and deploy on cloud solutions. We will collaborate the efforts made on Microsoft VAD and will replicate the same success on the cloud offering”, - he added. “We truly believe that cloud computing as a concept will see increase of adoption and acceptance by the Middle East during the next couple of years as the market matures and more vendors and service providers are coming up with more cloud products. Our role as a distributor here is to enable and educate the channel in order to be capable of providing right solutions to all end-user segments,”- commented Bahaa Salah, Managing Director of Aptec Distribution, who strongly believes that Aptec can meet vendor expectations with regards to distribution of cloud products. “As a Value-Add Distributor Aptec has right expertise and resources to take the knowledge down to the channel”, - added Bahaa Salah. Microsoft has launched its first cloud product, Microsoft Office 365, in October 2010, having started testing it first in North America and European markets. Office 365 combines Microsoft® Office Professional Plus—the familiar Microsoft Office desktop suite—with cloud-based versions of next-generation Microsoft communications and collaborations services: Exchange Online, SharePoint Online, and Microsoft® Lync™ Online. Currently in beta, Microsoft Office 365 is designed to meet the needs of organizations of all sizes. With plans for everyone from independent professionals and kiosk workers to small, midsize, and large businesses and from government agencies to educational institutions, Microsoft Office 365 can help save time and money, while freeing valued staff resources. “Microsoft Office 365 will provide the best Software as Service under the public cloud offering to various segments which justifies the return on investment and total cost of ownership by moving from a CAPEX to OPEX based solution”, - Santhosh Kumar, Software Business Unit Manager at Aptec Distribution. Aptec will showcase Microsoft Cloud and Microsoft VAD products at Aptec Gitex stand, Hall 4, stand C4-1, during Gitex Technology Week (09th-13th October 2011) at Dubai World Trade Center.